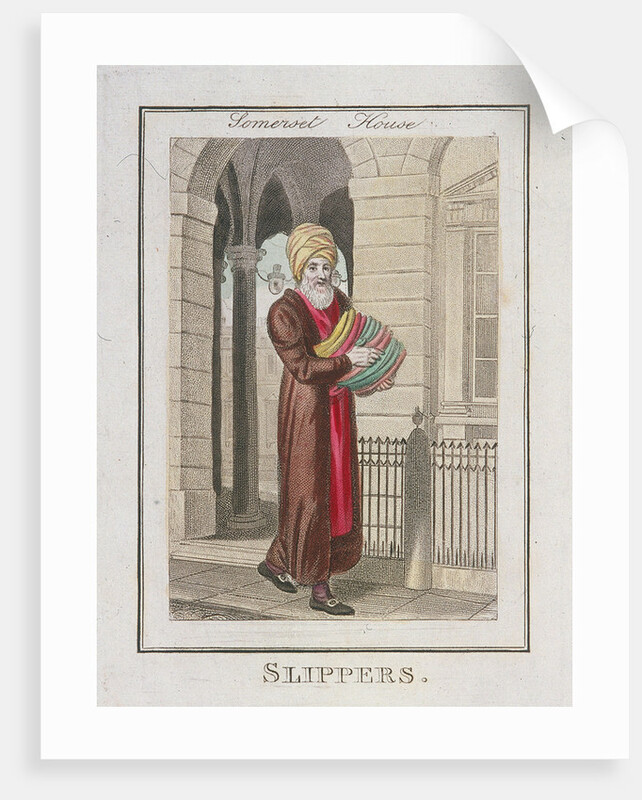 'Slippers'. 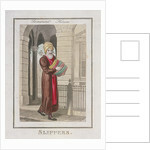 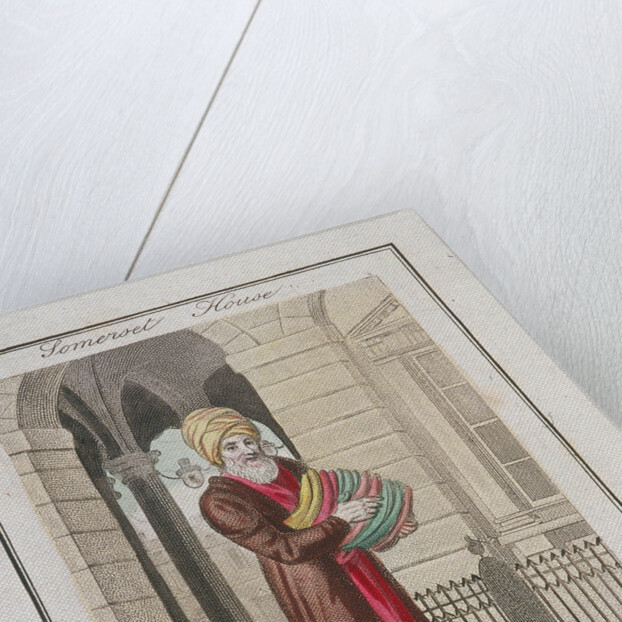 A Slipper seller dressed in a turban and long robes outside Somerset House on the Strand. 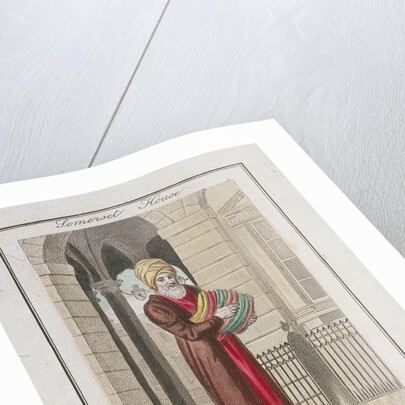 From Cries of London, 1804.